Emotional angry pensioner, blurred background. Stressed irritated ederly man is arguing pointing with finger. Facial expression of disappointment. Displeased emotional pensioner, white background. 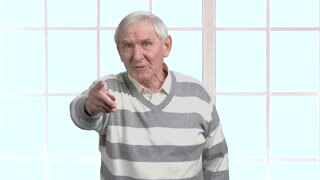 Mad elderly man arguing and pointing with index finger, isolated on white background. Dissatisfaction and conflict concept. 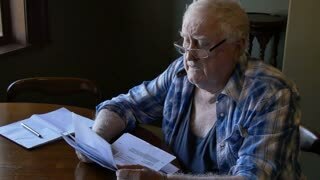 Displeased angry pensioner, blurred background. Irritated old male. Disapproving of something. Irritated older man, blurred backround. 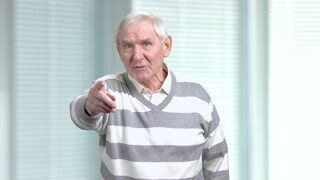 Disgruntled caucasian pensioner arguing and gesturing on blurred background. Irritation and frustration concept. 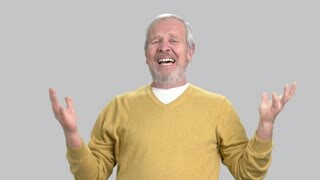 Confused mature man on grey background. 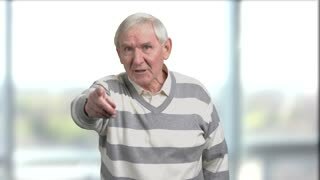 Stressed caucasian pensioner gesturing with hands. Human emotions and gestures. Irritated young business woman is arguing. Angry business woman or boss screaming and pointing with finger. Facial expressions of dissatisfaction. Stressed female doctor on grey background. Upset woman doctor in white uniform lost in thought. Tired doctor has a migraine. Disappointment and failure.